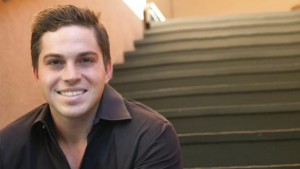 August’s speaker is Andrew Citores, founder & CEO of JusCollege. JusCollege is the easiest way for students to plan, organize and book awesome travel and entertainment experiences. Over 100,000 students and alumni trust JusCollege when booking their trips and events. Since its inception, JusCollege has experienced tremendous growth. The company is 5 months ahead of last year’s sales and over 80% of bookings are from campuses it has never booked for Spring Break before. The team at The Innevation Center said JusCollege plays an important role in both the VegasTech and Las Vegas at large. Andrew Citores will be sharing his entrepreneurial journey, as well as challenges JusCollege faced when they launched in the Bay Area and as they ramped up in Las Vegas. “On a recent TBAN startup panel, I talked about the challenge of talent we face in the VegasTech community. I think since that panel, we have seen some new faces move to town, but we still have a long way to go to be able to feed the growing ecosystem here,” Andrew Citores said. Come hear Vegas entrepreneur Andrew Citores speak on August 28, 2014. More details here.